NEW YORK – Patients across the United States, Canada and Europe have filed thousands of lawsuits against big pharmaceutical companies like Johnson & Johnson (and other manufacturers) for their pelvic and vaginal mesh implants, which can cause devastating pain and, in some cases, ruin a woman’s life. Add Australia to the mix. More than 700 Australian women recently filed a class-action suit against J&J, arguing that the company’s pelvic mesh caused chronic and debilitating pain, infections and other serious injuries. The trial began on Tuesday and it’s expected to last six months. Similar to their U.S. counterparts, the victims argue that pelvic mesh manufacturers did not properly warn doctors and their patients about the risks associated with the product and the procedure. The suit also accuses manufacturers of failing to adequately test the devices before selling them. A pelvic mesh attorney at Cellino & Barnes is currently accepting cases brought by victims from across the U.S., and says the defective products could affect millions of women. In a statement, Johnson & Johnson claimed that its pelvic mesh has helped millions of women around the world, and that the majority of these surgeries were successful without major side-effects. However, the mesh-maker has voluntarily pulled several devices off the market, and in the U.S., the Food and Drug Administration reclassified all pelvic mesh implants as “high risk” devices, subjecting them to further regulations and testing. However, one of the devices have been recalled. Despite the “high risk” designation, pelvic mesh attorneys at Cellino & Barnes say these devices continue to be used in hospitals around the country. If you or a loved one has been injured as a result of pelvic or vaginal mesh implants, it’s not too late to file a claim. Recently, another medical device maker agreed to pay more than $800 million to settle the thousands of personal injury lawsuits stemming from injuries incurred as a result of its vaginal mesh implants. If you believe these products have had a negative impact on your life, or relationships with your family members, contact a pelvic mesh lawyer at Cellino & Barnes for a FREE case evaluation. NEW YORK – A U.S. court has ordered pharmaceutical giant Johnson & Johnson to pay over $110 million to a woman who developed ovarian cancer while using the company’s talc products. Lois Slemp, 62, claimed she used Johnson & Johnson’s talc-based powders for over 40 years before she was diagnosed with cancer in 2012. Slemp is currently receiving chemotherapy after the cancer returned and spread to other organs. According to court documents, the pharmaceutical company failed to warn customers about the risks associated with using talc-based powders, such as Johnson & Johnson’s Baby Powder and Shower to Shower Powder. Last year, three separate jury verdicts determined that J&J was negligent in providing adequate warnings about the risks of talc powders. Despite these verdicts, the company continues to defend its Baby Powder, claiming it is safe. Several medical and lab studies have determined that talcum powder can cause ovarian cancer if the powder, which is generally applied to the genital area, reaches the ovaries. Findings have been mixed, but some research has found an increased risk in women who regularly use talc-based products. The International Agency for Research on Cancer has classified talc as “possibly carcinogenic” due to the mixed research conclusions. In its natural form, talc contains microscopic fibers known as asbestos, which is cancerous. However, most talc-based products are asbestos-free. WHAT CAN I DO IF I HAVE OVARIAN CANCER? Women who have been using talcum powder products in their hygiene routines may be able to link the use of talc-based products like Johnson & Johnson’s Baby Powder to ovarian cancer. Many talcum powder lawsuits have resulted in significant jury verdicts for compensatory damages and punitive damages. In some cases, talcum powder attorneys have obtained millions of dollars for their clients following a successful talcum powder lawsuit. The talcum powder lawyers at Cellino & Barnes are former doctors and highly-trained professionals who understand how pharmaceutical products can affect an individual. If you or a loved one has been diagnosed with ovarian cancer, contact an experienced talcum powder lawyer for a FREE case evaluation. BUFFALO, N.Y. – Every parent has a short list of ‘must-have’ items: a crib, a stroller, toys, and a baby carrier. Although these are basic items for any growing family, a new study is warning parents about how dangerous some of these products can be. More than 66,000 children are sent to emergency rooms each year, after getting injured in an accident related to nursery products. That’s an average of 128 hospitalized infants each day. According to a new Nationwide Children’s Hospital study, most of these accidents resulted in concussions or other head injuries. In fact, research has found that the majority of the incidents involved a child, usually an infant, falling out of a stroller, carrier or crib. These basic nursery items are also on the recall list more than any other children’s product or toy. A Buffalo defective product attorney at Cellino & Barnes says parents and expecting parents should at least be aware of these accidents when shopping for their nursery. Recalls as a result of defective cribs, strollers and carriers can be found on Recalls.gov, a resource which lists almost all federal consumer product recalls. Buffalo defective product lawyers say parents should also check with the U.S. Consumer Product Safety Commission on a regular basis to make sure the products they’ve purchased for their child meet the latest safety standards. Doctors noted that many of the children’s’ injuries were a result of improper installation, and parents must carefully read directions for many nursery products before putting them together, or setting them up. Unfortunately, many other injuries are caused by defects in nursery products. These defects can include broken parts, choking or strangulation risks, poor durability, or an overall lack of safety testing. If your child has been injured as a result of a faulty nursery crib, carrier or stroller, the injuries can be very serious, often impacting a child’s learning ability or progress. Any defective product is unacceptable in today’s safety-focused society – and the products that can injure a child should be immediately pulled off the shelves to save other children and parents the heartache and pain that goes with one of these accidents. The Buffalo defective product attorneys at Cellino & Barnes have helped many families get compensation for these injuries by holding the manufacturers responsible for negligently marketing unsafe nursery furniture, transports and toys. Trusted with personal injury matters for over 50 years, Cellino & Barnes has taken many of the nation’s biggest manufacturers to court to make sure safety is the industry’s number-one priority. To find out how our team can help with your situation, contact a Buffalo defective product attorney for a free case evaluation. BUFFALO, N.Y. – Women around the country claim they have suffered serious and permanent injuries from a birth control device manufactured by Bayer. Earlier this month, Bayer filed a motion to dismiss several lawsuits against them but a federal judge ruled in favor of the alleged victims. A personal injury lawyer at Cellino & Barnes says claims have been filed against the pharmaceuticals company over the permanent birth control device, Essure. The Essure device is made of metal and polyester coils which, if they malfunction, they can pierce or irritate internal organs. Some lawsuits claim women have had to undergo expensive hysterectomies after suffering through years of pain. Although Bayer is currently fighting against these lawsuits, federal courts and even the Food and Drug Administration have been listening to patient concerns. Recently, the FDA slapped a black box warning on Essure and has issued a three-page checklist for doctors – which needs to be signed by both the surgeon and the patient. Still, critics of the device believe regulations are not enough and that the product is so dangerous that it needs to be removed from the market. Essure injury attorneys may warn patients not to sign the checklist until more research has been conducted and the open lawsuits against Bayer have been resolved. 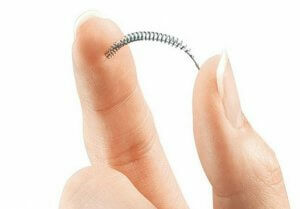 Essure was approved in 2002 in a quick review process and with few clinical trials. By 2015, the FDA had received more than 10,000 reports of injuries, pregnancies and even fatalities related to Essure. If you believe you or a loved one has suffered an injury caused by a defective surgically installed device like Essure, the Essure injury attorneys at Cellino & Barnes can guide you through the legal process and help you get compensation for your pain, suffering and removal of the potentially faulty device. The law firm has been trusted by injured patients for over 50 years to help them get the best result possible from a defective product claim. For a free case evaluation and consultation, contact an Essure injury attorney at Cellino & Barnes today. NEW YORK – Many of us have heard that echoing phrase from ‘A Christmas Story’ and in some cases, even questioned the safety of some toys, and rightfully so. “Due to poor design, manufacturing and marketing practices, there are toys available for purchase today with the potential to lead to serious injury and even death,” WATCH stated in a press release. A defective product attorney at Cellino & Barnes says these toys are not always the most dangerous items you can find in a store but they may have safety concerns that can sometimes overlooked. 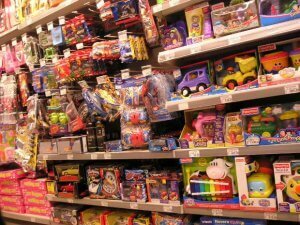 According to some studies, more than 3 million children have been treated in emergency rooms for a toy-related injury. More than half of the children hurt were under the age of six. Peppa Pig’s Muddy Puddles Family – Some packages recommend 3+ while others say 2+ for the same toy. WATCH states there are no warnings about choking hazards. Kids Time Baby Children’s Elephant Pillow – Pillows for children under the age of one are banned by a federal safety act. Despite this, advertising depicts an infant snuggling with the pillow and the product packaging contains no age warnings. Slimeball Slinger – Can cause eye injuries. Banzai Bump N’ Bounce Body Bumpers – In small print, product recommends wearing protective equipment such as helmets or eye-wear. Despite recommendation, packaging displays children without wearing safety accessories. Nerf Rival Apollo Xv-700 Blaster – Kids depicted wearing safety equipment such as a mask or eye-wear but the accessories are sold separately. The Good Dinosaur Galloping Butch – Potential to puncture a child’s face. Peppy Pups – Strangulation concerns over 31-inch cord. Flying Heroes Superman Launcher – Flying Superman has potential to fly into a child’s face or eye. Baby Magic Feed and Play Baby – Toy is recommended for children 2+ and includes a spoon small enough to be a choking hazard, WATCH stated. Warcraft Doomhammer – Packaging does not warn of potential impact injuries associated with the heavy, plastic ‘battle hammer,’ WATCH said. Toymakers insist that safety is a top priority this holiday season and meet all federal safety requirements. However, many toys are not subject to independent safety testing, which can raise concerns for many parents. Last year, ‘hoverboards’ were popular gifts for the holidays, prompting many public places such as malls and airports to ban the item after they were linked to dozens of fires and other safety concerns. The toys on WATCH’s list have not been banned or recalled at the time this article was published. If you’ve been injured by a dangerous or defective toy, the experienced attorneys at Cellino & Barnes can help. Children and their families may be entitled to significant compensation if it is determined that a toymaker was negligently responsible for an injury. Contact a defective product attorney at Cellino & Barnes today for a free consultation. NEW YORK – Automakers recalled a record 51.2 million vehicles over more than 800 separate recalls last year. The previous record was set in 2014 when 51 million cars and trucks were recalled back to the dealership. Unfortunately, these production mistakes keep adding up… but every car company is different. Porsche averages the fewest recalls. Volkswagen has brought back the most. As soon as Tesla finds a problem with its vehicles, drivers are notified immediately. Mazda can take months or years to let its drivers know about a problem. These are just some of the findings in a new report by the website iSeeCars.com. Using federal recall data gathered as far back as 1985, the ongoing study aims to find out how the auto industry stacks-up when it comes to critical production mistakes. Recall rate. This measures the number of recalls per car sold. In some cases, this rate could be higher than the actual number of cars sold because some vehicles had multiple recalls. Volkswagen had the highest rate: 1,805 recalls per 1,000 cars sold. Timeliness. How quickly does the auto maker notify its customers that their vehicle could have a potentially fatal flaw? Initiative. Does the company proactively issue recalls to improve safety or does the government step in and order a recall? A Long Island car accident lawyer said the study’s findings showed some interesting (and concerning) trends. Out of every 1,000 cars sold, the auto industry averages 1,115 recalls. That’s more than 1 recall per vehicle. From GM ignition switches to Takata air bags, the recalls have grown larger and they’ve now impacted almost every American driver. 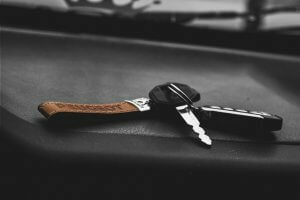 If you believe you’ve been injured due to a defective part or dangerous vehicle, you may be entitled to significant compensation. The Long Island car accident lawyers at Cellino & Barnes have fought against the major auto companies and they’ve helped victims get the best results possible. Contact an experienced trial attorney today for a free case evaluation. For the latest information on recent recalls and auto defects, follow Cellino & Barnes on Twitter. 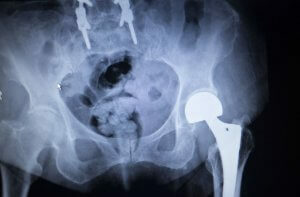 NEW YORK – Stryker Orthopedics has issued a new recall on its LFIT V40 hip systems after several patients reported serious health risks caused by the implant’s faulty design. Made of the metals cobalt and chromium, the femoral head hip implant has been reported to corrode, causing the head to separate from the rest of the implant. If the corrosion is not addressed, the metal head can break-off from the rest of the implant. A Stryker hip implant lawyer at Cellino & Barnes says patients may require immediate revision surgery as a result of the recall. This is not the first time Stryker has issued a recall on its products. In 2012, Stryker’s Rejuvenate and AGB implants showed a high risk of failure and as a result, thousands of patients either suffered injuries or required a risky revision surgery. Stryker later settled these claims for $1.4 billion. If you have a Stryker LFIT V40 femoral head implant, you likely received a recall notice in the mail or other notification from your doctor. If you haven’t received a notification regarding your hip surgery but suspect you have a defective hip implant, the experienced trial attorneys at Cellino & Barnes can help you get the information you need. Our team has prosecuted the manufacturers of many faulty implants and devices, including the companies that make defective hip implants. Our investigators can aggressively prosecute these companies to help you and your family get the best result possible. Contact a Stryker hip implant lawyer at Cellino & Barnes today for a free case evaluation. ROCHESTER, N.Y. – You want the best for your children, so you buy the best strollers and the best car carriers for them. What many parents don’t realize is how many baby products aren’t safe. Many of them can be defective – but you’d never know until it’s too late. According to a new study published in Academic Pediatrics, two children are admitted to hospitals every hour after incidents involving strollers or car carriers. Over the past few decades, that adds-up to over 360,000 children who were rushed to emergency room. A Rochester defective product lawyer at Cellino & Barnes says strollers and carriers are often marketed as ‘safe’ products but they often fall short expectations. Just last month, 217.000 of these jogging strollers were recalled after more than 200 children suffered injuries. In most of those incidents, the front when could pop off or become loose, causing the stroller to become unstable and fall. Rochester defective product lawyers say that’s clearly a safety concern and toddlers can easily fall out. The newest research analyzed a national database for stroller or carrier-related injuries between 1990 and 2010. Researchers discovered a total of 360,937 children were treated in emergency rooms and that may be a conservative estimate. Children treated at home or by a private pediatrician were not included in the numbers. Among the cases analyzed however, about a third of the children suffered concussions. Researchers said even a minor concussion can impair a child’s development, behavior and their learning ability. Rochester defective product attorneys say many parents can immediately recognize something is wrong with their carrier or stroller. Belt clips may not work properly, or a wheel could be loose. In many cases, the manufacturer can be held liable for selling a potentially dangerous item. Safety oversights are not only catching the attention of parents; the federal government has stepped in as well. 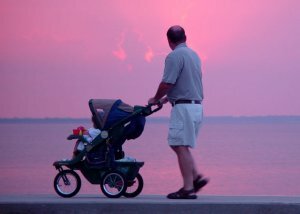 New mandatory safety standards were recently issued for strollers and carriers and, as of September 2015, all manufacturers must comply with the new standards. An official at the Consumer Product Safety Commission (CPSC) said newer is better. The new standards address many of the most common injuries children suffer after a carrier or stroller accident and many of the products that meet these standards are now on store shelves. If your child has suffered an injury, the manufacturer may owe your family compensation. And as one of the largest personal injury firms in Western New York, Cellino & Barnes has attorneys who focus on defective product liability. Contact a Rochester defective product lawyer today for a free case evaluation. To alert the CPSC of a faulty baby product, go to www.saferproducts.gov. NEW YORK – It used to be ‘cool’ to carry a pack of reds and a lighter. Not anymore. Americans are kicking the habit of smoking; and one of the biggest reasons for the sudden trend is the mass-production of e-cigarettes… but they’re not necessarily as safe as marketed. The jury is still out on whether e-cigs can be considered a ‘healthy’ habit. Most doctors agree it’s healthier than its predecessor, the tobacco-laced cigarette. But as e-cigs have grown in popularity, reports of severe injuries have spiked. A New York e-cig injury lawyer at Cellino & Barnes says many New Yorkers plan to quit smoking by vaping but that plan could blow up in your face. Sometimes, quite literally. According to the U.S. Fire Administration, over 2.5 million Americans are using electronic cigarettes and more are jumping on the wagon every day. 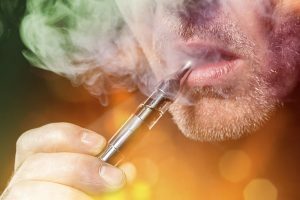 Between 2009 and 2014, more than 25 incidents were reported in the news but since then, e-cig injury lawyers say the injuries have skyrocketed. In Indianapolis, doctors at the Richard M. Fairbanks Burn Center sent out a warning to consumers after they experienced a significant spike in the number of patients with leg burns after leaving e-cigs in their pockets. 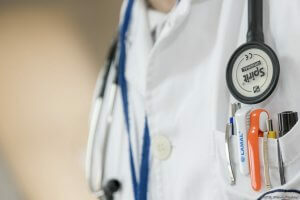 According to the report, doctors at this one treatment center alone have received at least three patients with second and third degree burns in the past six months. In Seattle, at least 14 people have been hospitalized at Harborview Medical Center for serious burns and cuts when an e-cig ignited and exploded. The Seattle Times reports the hospital is receiving about two patients each month with e-cig injuries. In Mobile, Alabama, doctors also reported a spike in e-cig injuries. Mostly burns, the USA Medical Center said seven patients with e-cig burns were treated in the last six months. According to WKRG, Alabama doctors noted that e-cigarette batteries were to blame and many patients weren’t even aware the batteries could blow-up on them. Lithium-ion batteries are the same power devices linked to hoverboard fires. Safety advocates say many batteries, like those used in laptops, have passed rigorous testing and have fail-safe mechanisms to prevent fires or explosions but some manufacturers are cutting corners. This is especially true in the e-cigarette market. Many e-cigs have been found with poorly made lithium-ion batteries, most often manufactured overseas. Some of these foreign manufacturers fraudulently stamp name-brand logos on their products in an effort to increase sales. New York e-cig injury lawyers say this act is not only illegal in the U.S., it’s also very dangerous. If you’ve been injured by a faulty e-cigarette, you may be entitled to significant compensation for your injuries. The New York e-cig injury attorneys at Cellino & Barnes are leading the charge to help victims get justice. Contact a lawyer today to get started. Like Cellino & Barnes on Facebook to stay up-to-date on new safety information and news about e-cigarette injuries. NEW YORK – You may have used a simple silicate mineral for years without knowing it could cause cancer. 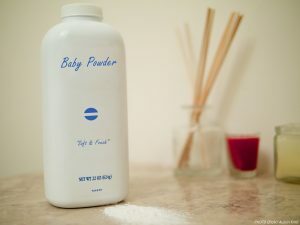 Silicon, magnesium and oxygen together form talc, which in its powder form is a popular product often used on babies and heavily marketed to women. 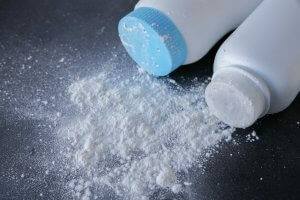 The problem is, talc could cause ovarian cancer. Last month, a Missouri jury ordered talcum powder manufacturer Johnson & Johnson to pay $55 million to a woman who said that using the company’s talc-containing feminine hygiene products caused her to develop the deadly cancer. The verdict follows a similar order in February, which awarded an Alabama family $72-million in damages after a woman who used talcum powder as a “bathroom staple for decades.” That woman, Jackie Fox, passed away in October 2015 at the age of 62, more than two years after her diagnosis. A talcum powder attorney at Cellino & Barnes said thousands of women claim they’ve developed cancer after using talc and many companies have refused to warn consumers about the potential dangers associated with their products. A commercial that aired in 1986 marketed talcum powder as a “soft” product that you’ll “never out-grow.” Another commercial circa 1989 encouraged women to “Baby Yourself with Johnson’s” baby powder. Manufacturers, including Johnson & Johnson have argued that regulatory reviews “have determined that talc is safe” for cosmetic use and that current labeling practices are adequate. Several juries have disagreed with that assessment and the lawsuits against Johnson & Johnson are piling-up. More than 1,200 women have pending litigation against Johnson, claiming its talcum powder had devastating effects on their health. Johnson eventually eliminated some probable carcinogens like formaldehyde from its baby and personal care products in 2015. However, it took years of petitions and a boycott threat for the company to agree to the change. In its natural form, talc contains deadly asbestos fibers. If inhaled, natural talc products could cause another cancer, mesothelioma. Talcum products used in American homes have been asbestos-free since the early 1970s but there are still concerns over their safety. According to a study from Boston’s Brigham and Women’s Hospital, those who regularly used talcum powder for feminine hygiene experienced a higher rate of ovarian cancer – 33-percent higher. In many cases, doctors have found talc particles inside cancerous ovarian tissue. Talc has also been identified in pelvic lymph nodes, which indicates that it can migrate all the way out of the fallopian tubes and into a woman’s abdomen. Talcum powder attorneys say big pharma companies have continued to deny the risks despite strong evidence that there is indeed a link between talc and ovarian cancer. If you or a loved one has been diagnosed with ovarian cancer and you suspect talc was a factor, contact a talcum powder attorney at Cellino & Barnes today for free case evaluation. For the latest information on talcum powder lawsuits and public safety, visit Cellino & Barnes on Facebook.